Purpose: The purpose of this study was to evaluate an association between body mass index (BMI) and intraocular pressure (IOP) in men and women. 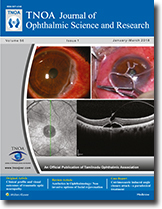 Materials and Methods: An observational study of 200 consecutive outpatients (90 males, 110 females aged 30–80 years), presenting at a tertiary eye hospital in southern India. Results: Ninety-four (47%) of the 200 participants had a normal BMI, 67 (33.5%) were overweight, and 33 (16.5%) were obese. Of the 33 obese participants, 19 (57.6%) were females. The mean BMI was 25.06 ± 4.66 and the mean IOP was 15.78 ± 3.99 mmHg. 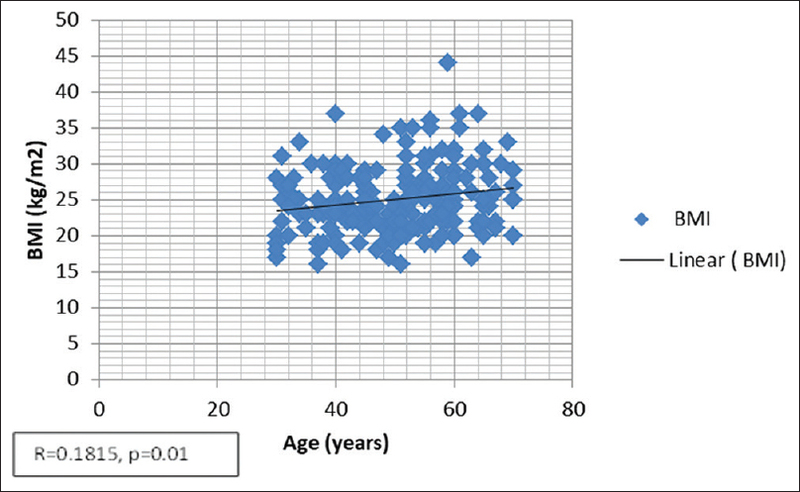 There was a positive, statistically significant, correlation between BMI and IOP (r = 0.2013, P = 0.004). Conclusion: Obesity is possibly a risk factor for increasing IOP in both men and women, with an increase in BMI being positively associated with increase in IOP. This is important in view of the current obesity epidemic. 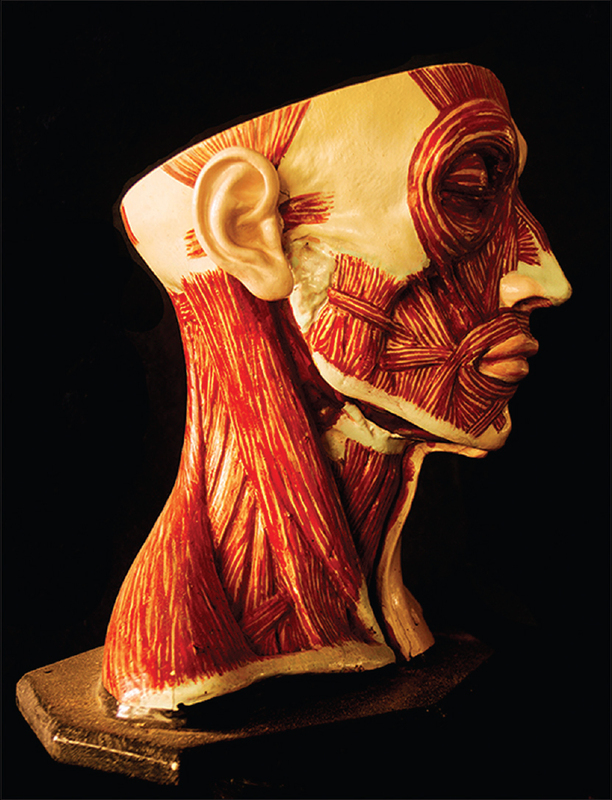 Facial aging is an ongoing biological process governed by both intrinsic and extrinsic factors. 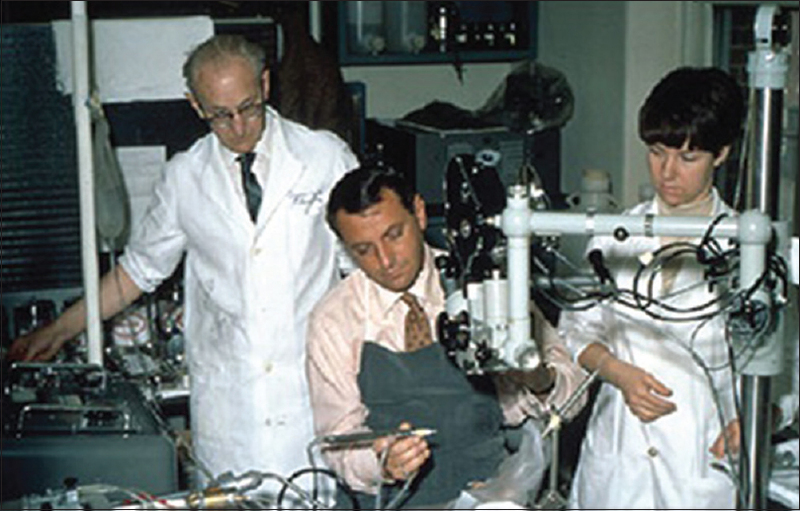 Conventionally, surgical treatments remained superior for decades due to satisfactory outcome. Expensive and invasive esthetic surgical procedures have been replaced by more affordable, less invasive procedures. For the past few years, novel nonsurgical treatment modalities are on the rise due to less patient morbidity and faster recovery. 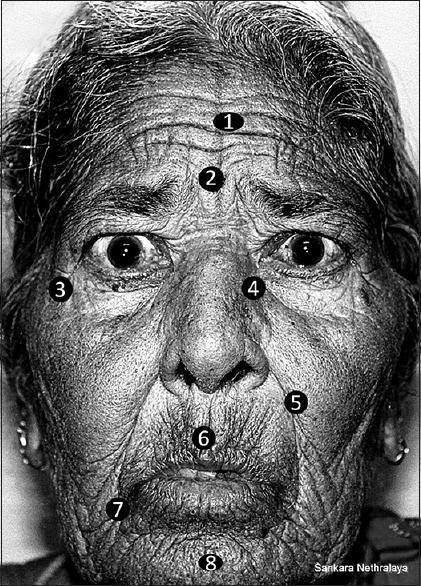 The intention of this article is to present a comprehensive review of the currently available nonsurgical methods to revert facial aging. Endothelial cell loss after penetrating keratoplasty leads to graft failure. The critical limit of the endothelial cell count for corneal decompensation is thought to be 700 cells/mm2. Clinical specular microscopy indicates that inspite of low endothelial cell density, the corneal graft can be maintained in a relatively dehydrated state. 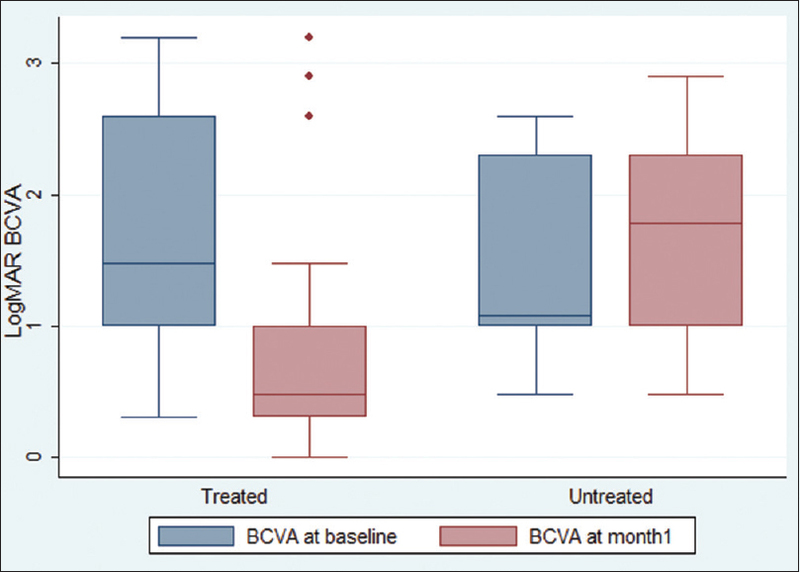 This study reports 4 cases of clear corneal graft having low endothelial cell count. The low endothelial cell count was associated with polymegathism and pleomorphism; inspite of this, the clarity of the graft was maintained. 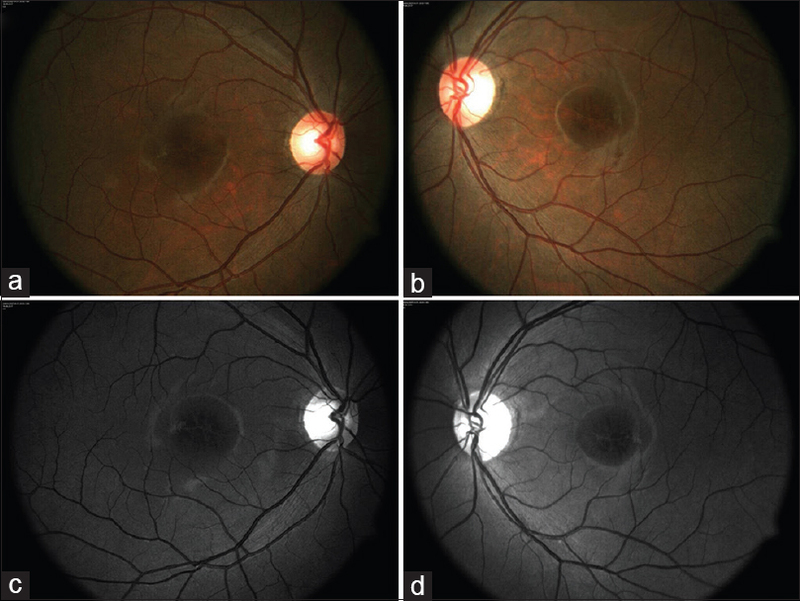 The purpose of this article is to present a rare manifestation of ocular tuberculosis (TB). Here, we present a case of a 19-year-old female who came to our department with defective vision in the left eye (LE) for 20 days which was insidious in onset and progressive in nature. The visual acuity in the affected eye was 2/60. Anterior segment examination of both eyes was normal. Fundus examination of LE showed active papillitis with macular edema. Fundus fluorescein angiography showed optic nerve hyperfluorescence with leakage and macular edema in the LE. All other investigations were found to be within normal limits except QuantiFERON-TB Gold and Mantoux which showed an induration of 19 mm. 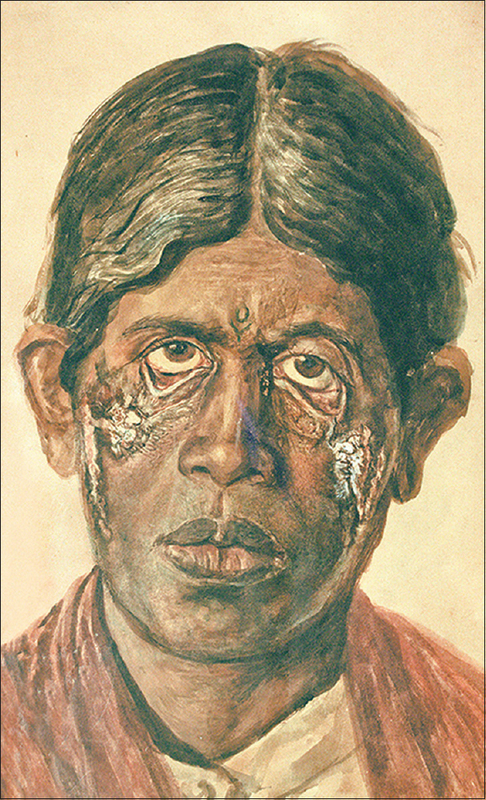 The patient was presumed to be a case of TB of optic nerve head and started on antituberculous therapy. She showed a rapid response to the treatment and her visual acuity improved to 6/9 at the end of 2 months. 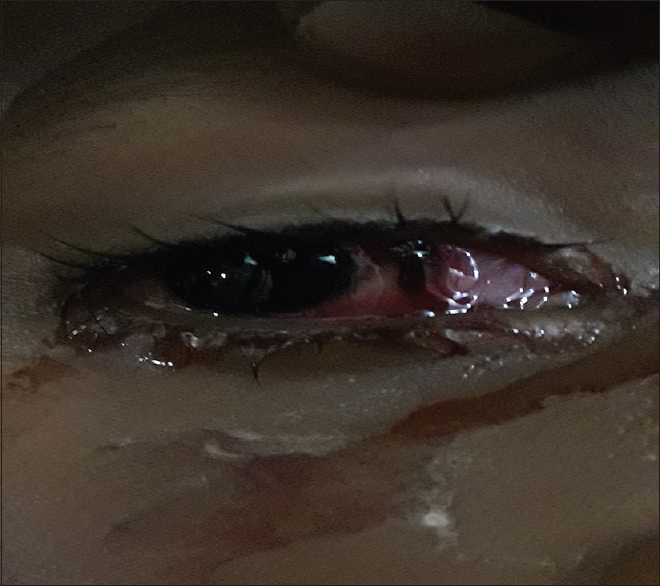 An elderly female came to the Emergency with acute onset diminution of vision, redness, and pain in both eyes for a day. 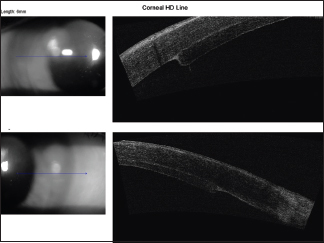 Examination revealed best-corrected visual acuity of OU–finger counting at half meter, corneal edema, shallow anterior chamber, and very high intraocular pressures in both eyes. Further history revealed intake of oral cotrimoxazole a day before the presentation. B-scan revealed shallow choroidal effusion inferotemporally OU. Thus, a diagnosis of drug induced, “nonpupillary block” glaucoma was made. 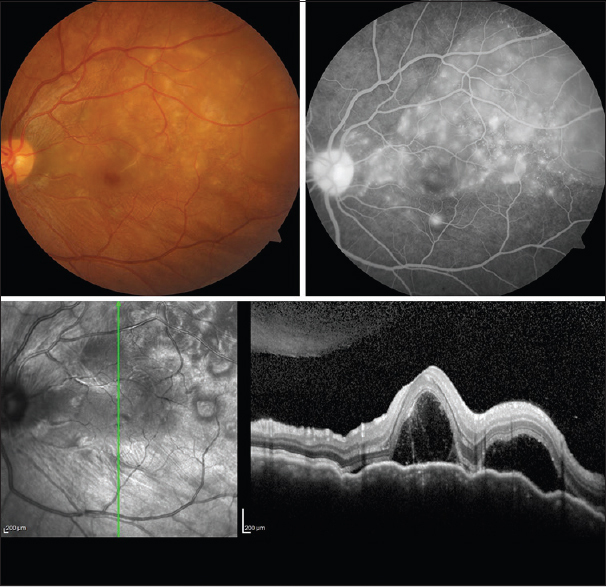 This case report describes how a cycloplegic relieved the angle closure attack in contrast to the standard treatment of pilocarpine and laser iridotomy. The case is also reported to make ophthalmologists aware of this unusual complication of a very commonly prescribed antibiotic. 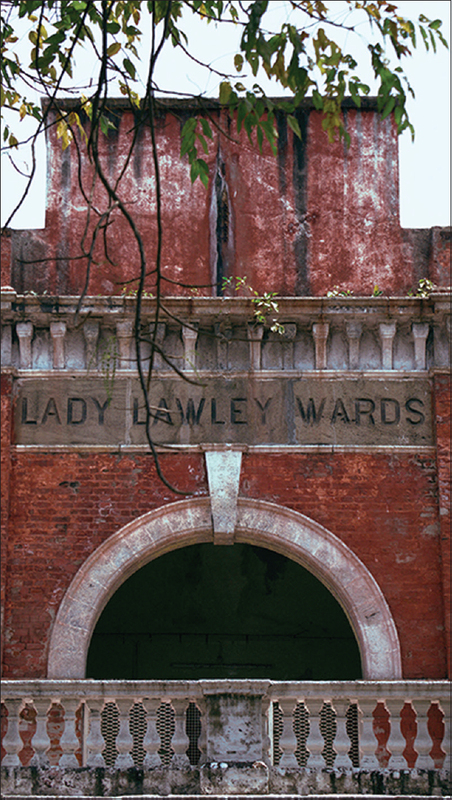 Ocular Loiasis although not frequently encountered, is reported from various parts of India. We report one such case of subconjunctival loa loa worm in a patient, who had no history of international travel or immigration. A 62 year old male patient presented with complaints of pain, redness, irritation and watering in the left eye since one day. On examination of the left eye, there was conjunctival congestion and a white thread like mobile worm was noticed in the subconjunctival space nasally. Under aseptic precautions and topical anaesthesia, a single white 5 cm long worm was removed alive and sent for histopathological examination, which reported it as an adult female loa loa worm. Globe rupture in children usually occurs from injury with sharp objects. Our patient had a pungai (Indian beech tree) seed thrown at his right eye and presented with ruptured globe. Globe repair was done, and the patient had a good visual outcome. Awareness about the outcome of open globe injury with unusual things should be created. Many patients suffering from enteric fever may face serious complications affecting any organ. 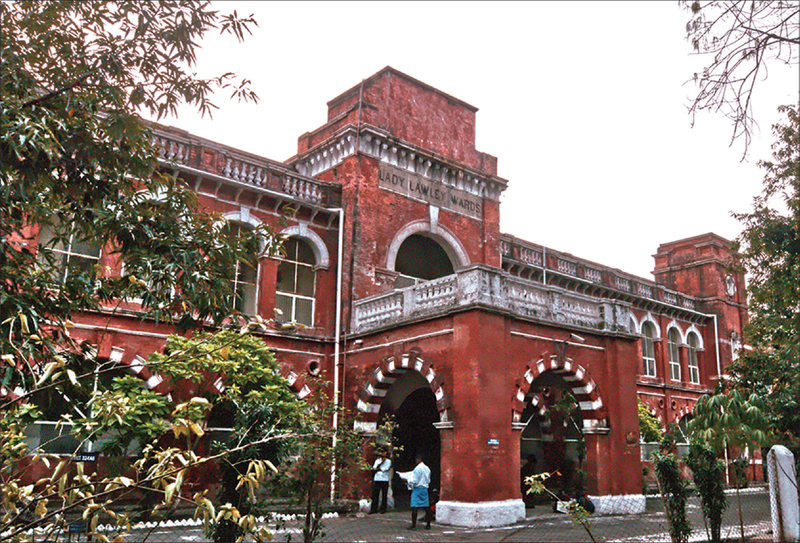 Cortical blindness has been reported as a complication in three cases till date. 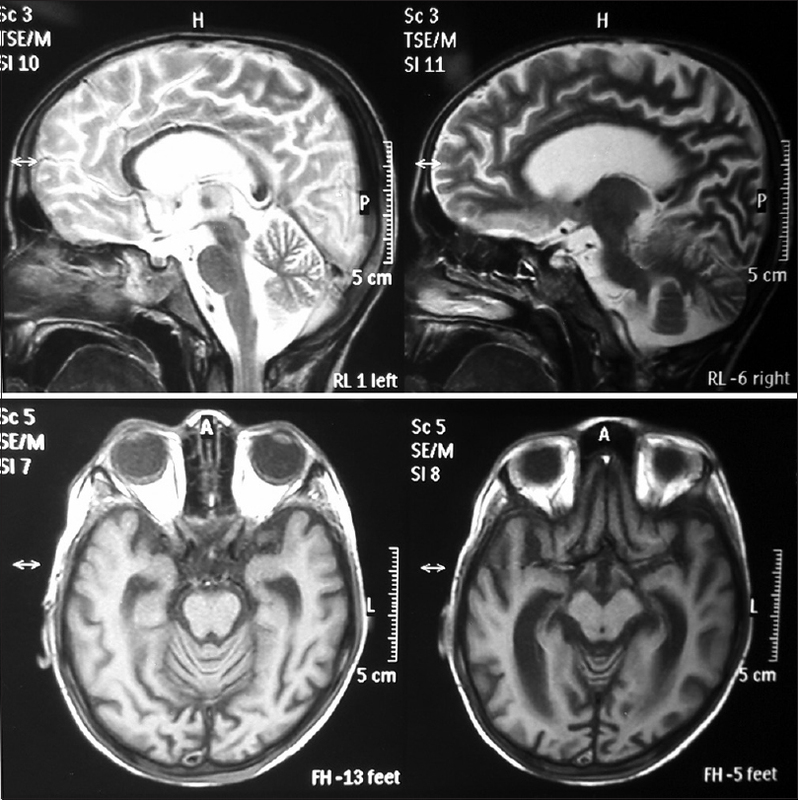 We report a case of a 10-year-old male child, who presented with bilateral loss of vision 9 months after suffering from Salmonella myocarditis with a cardiac arrest, following which there was hypoxic insult to the brain. The child had a perception of light and was diagnosed with cortical visual impairment. As per literature search from Medline and Cochrane review, no such case has been reported in this age group till date. This is a report of a rare case of a lateral type of unilateral congenital lacrimal gland fistula with no systemic anomalies. A 7-year-old girl born of a second-degree consanguineous marriage presented to us with painless, watery discharge from a site close to the left lateral canthus, since early childhood, which increased on crying. There was no underlying swelling or a history of trauma or surgery. On examination, an opening was found 10 mm lateral to the left lateral canthus. Probe test confirmed a tract leading to the lacrimal gland. There were no other systemic or ocular abnormalities. Examination of her parents and the sibling revealed no abnormality. The fistula was excised under general anesthesia. Postoperatively, the child developed signs of inflammation of the left lacrimal gland which subsided with low-dose steroids and antibiotics. After 1 month, the child was asymptomatic, and the fistula had healed well.